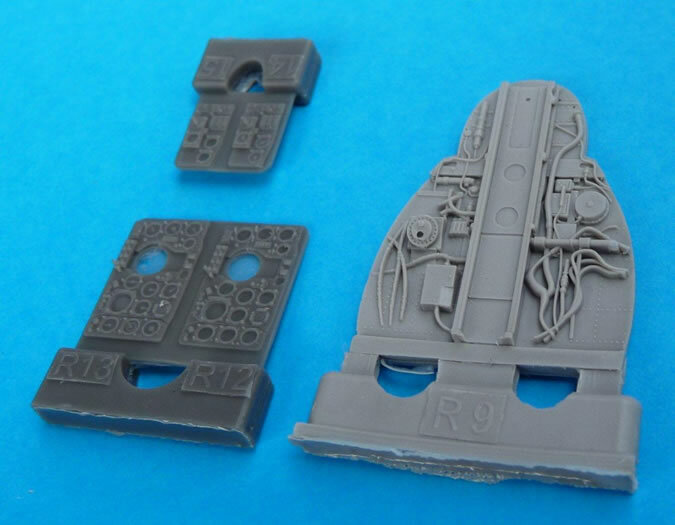 Grey resin parts (see photos), photo etch with double sided A5 instruction sheets. 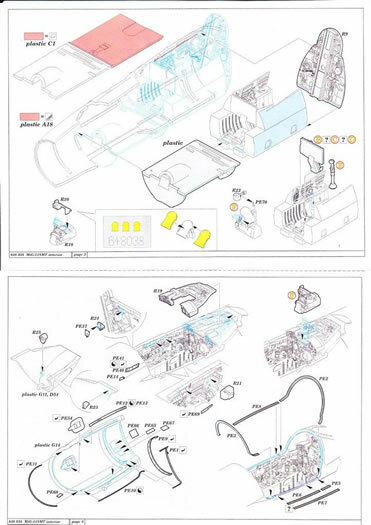 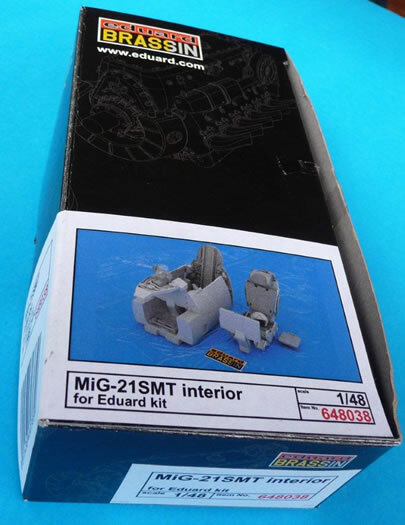 Great detail for those who like to super detail what is already a lovely MiG-21 as produced by Eduard. 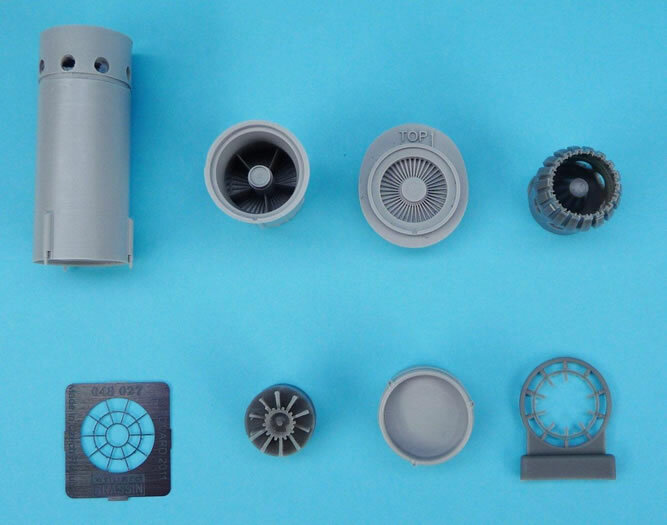 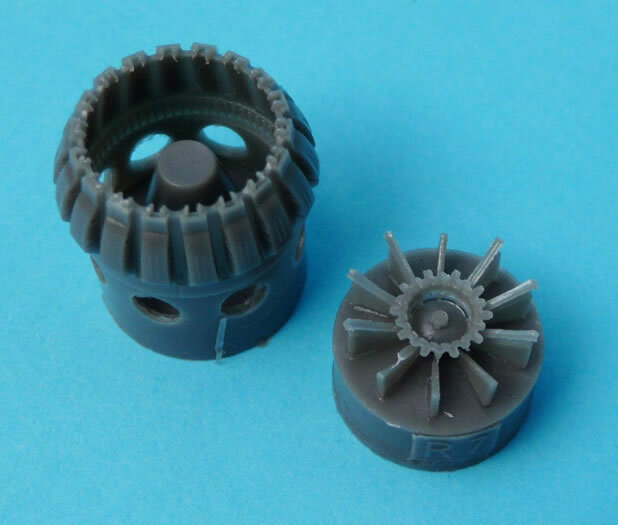 The main advantage over the standard kit supplied items is the single piece afterburner can. 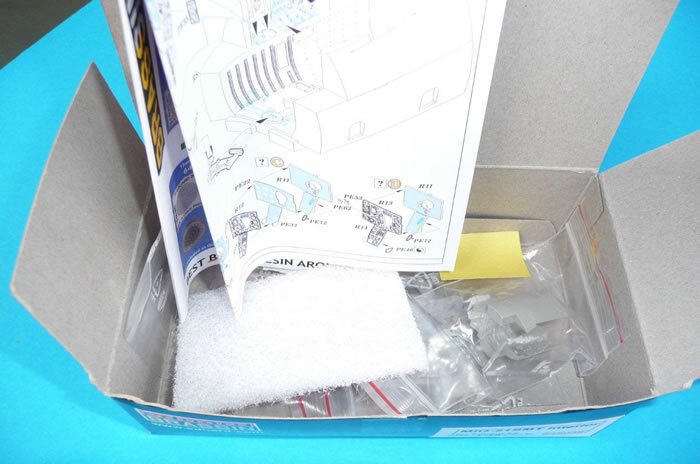 This eliminates the requirement to clean up any seams. 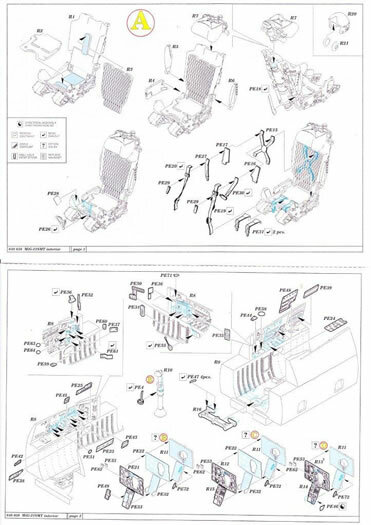 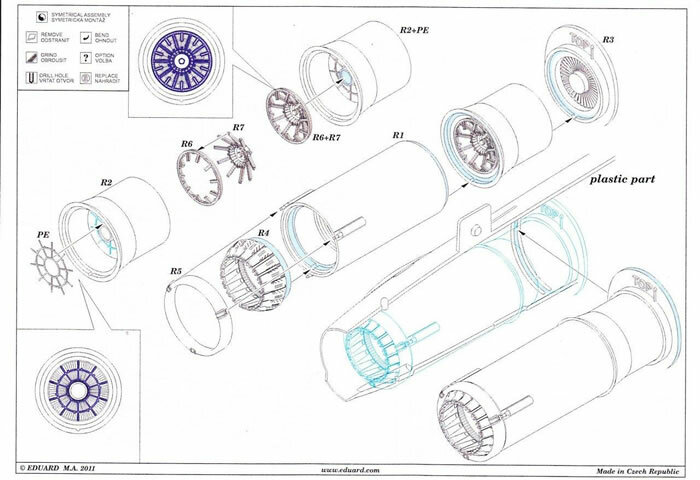 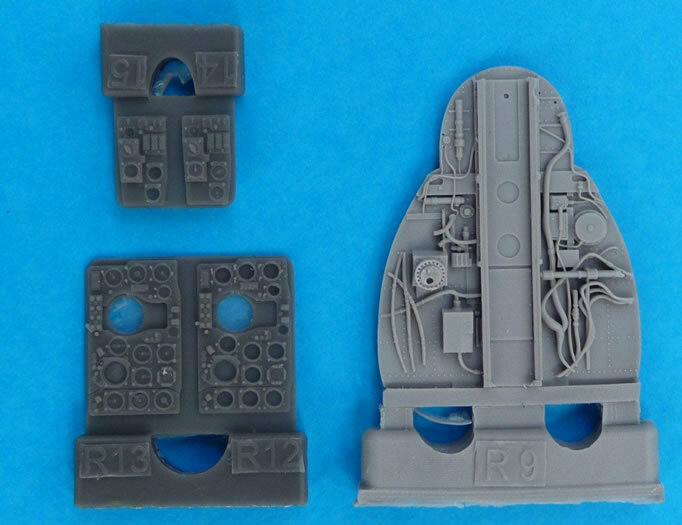 Other than that most of the detail, like the detailed afterburner flame holder, is buried within the fuselage and would require a torch to see the detail. 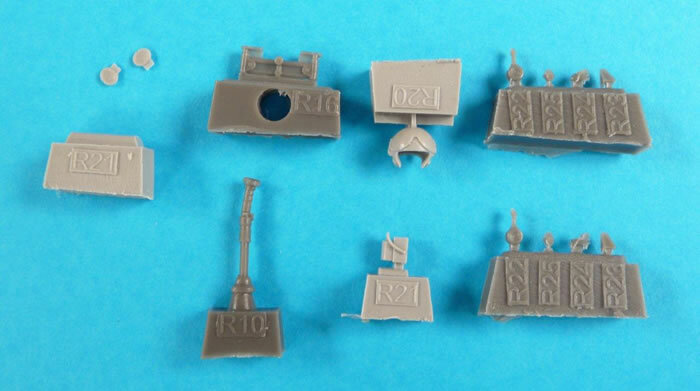 My resin flame holder had suffered some damage and while all parts are present it will be a delicate operation to remove it from its casting block. 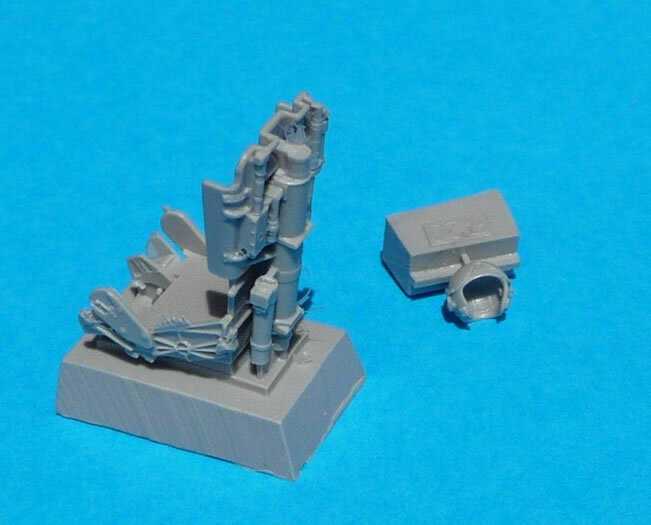 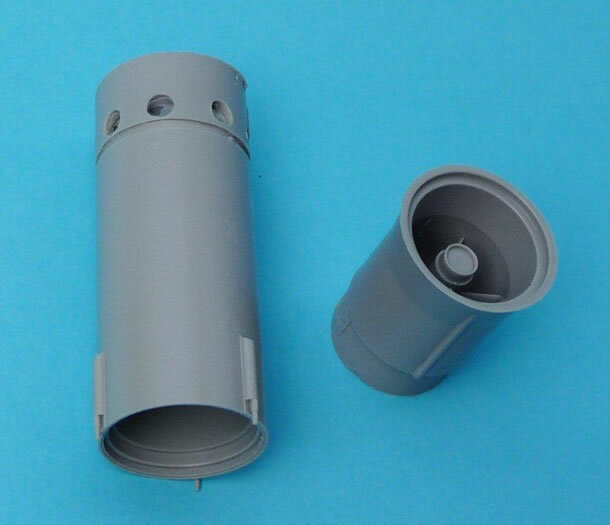 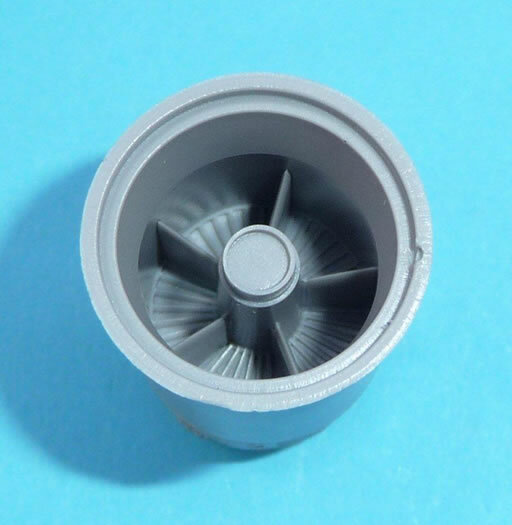 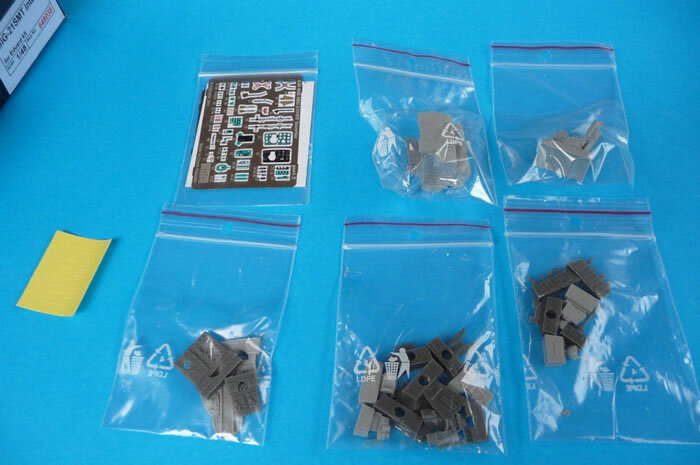 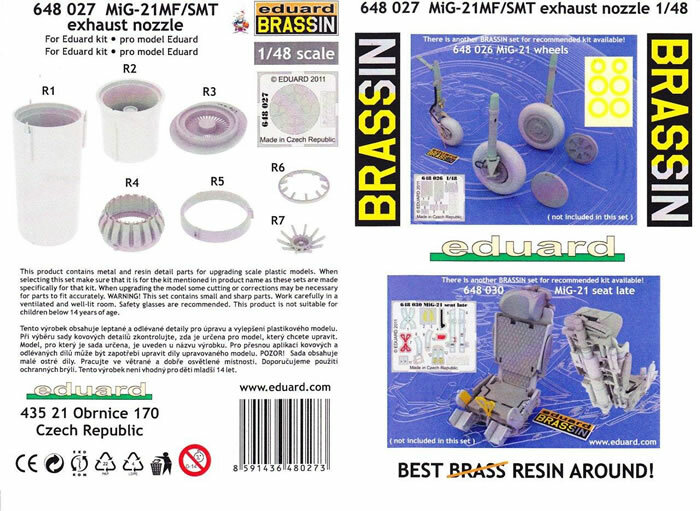 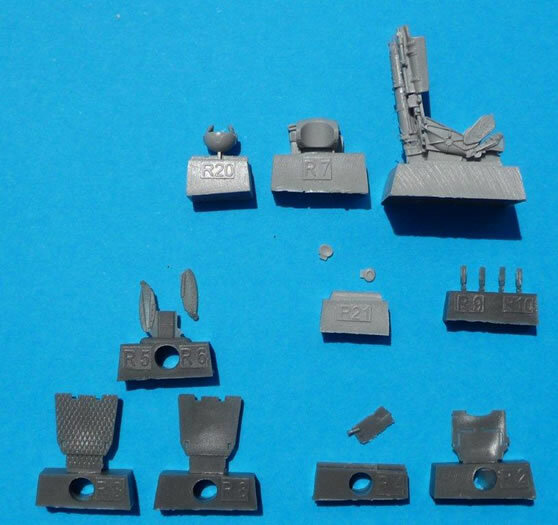 This Brassin could be useful addition to your other 1/48 MiG-21s by other manufactures. 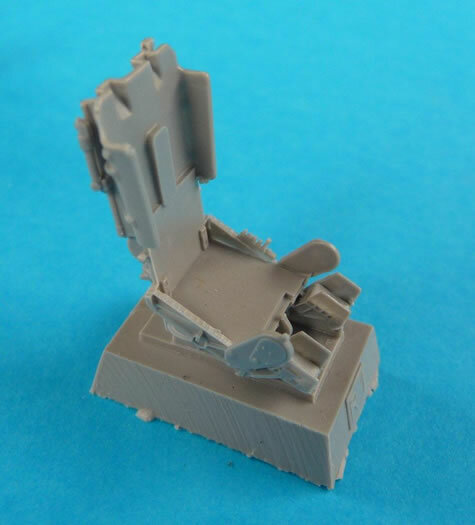 This is a true work of art; the level of detail in the resin is amazing, that said the standard seats in Eduards kits are no slouch either. 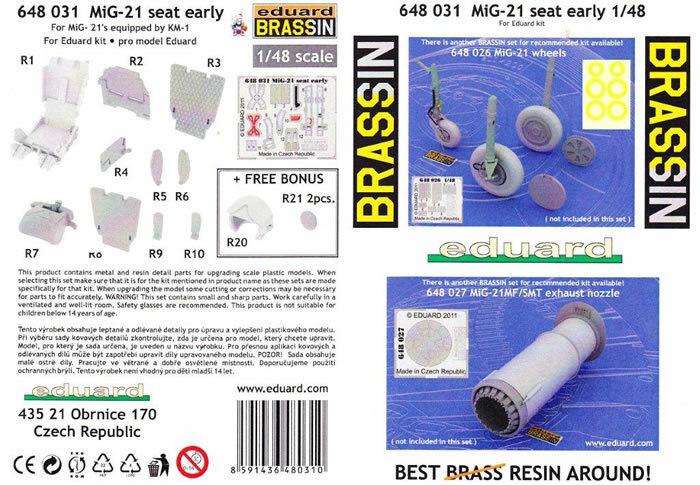 The advantage the Brassin has is the great detail of the resin, coupled with the colour photo etch harness that really finishes the seat off. 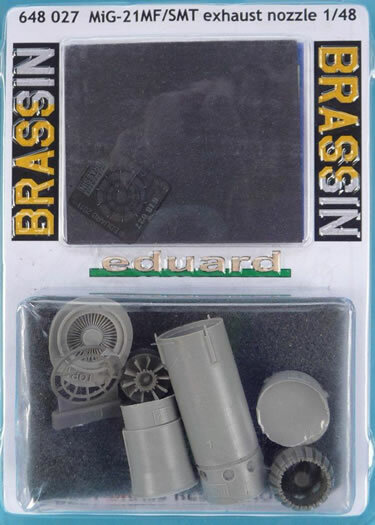 This Brassin comes with a bonus helmet made up of three pieces (helmet shell and two internal ear cups that had come off the resin but were contained in the bag). 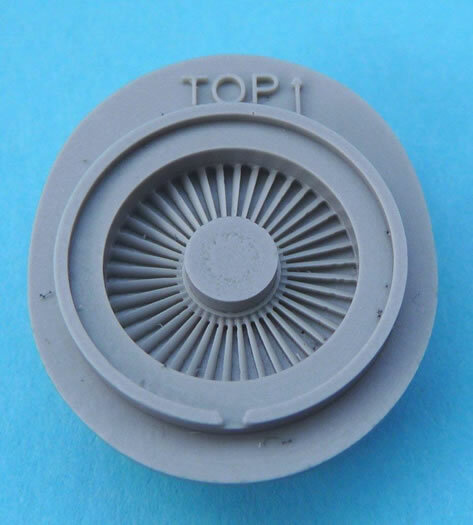 The first is a resin one that you would paint and drybrush to bring out the detail. 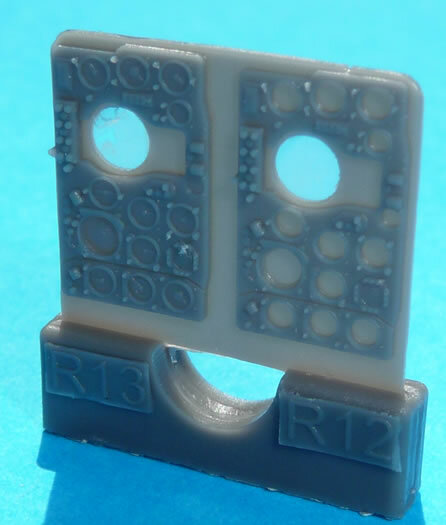 The next (see the photos that show the instrument panel with translucent dial faces) requires you to drill out the resin instrument faces and then place PE behind with the instrument dial. 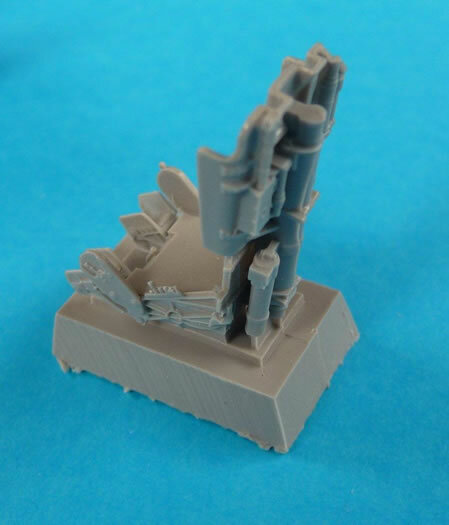 This is probably my choice, nice detail in three dimensions. 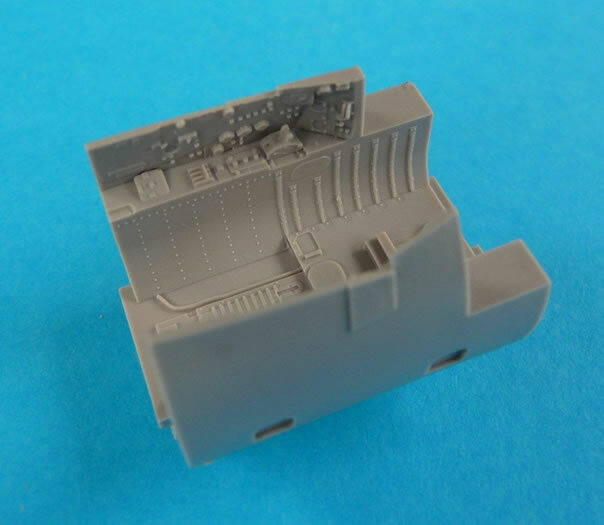 The final option is to build the layer up using PE only, a little more 2 dimensional but will still look nice as the colour PE instrument panel is very nicely done. 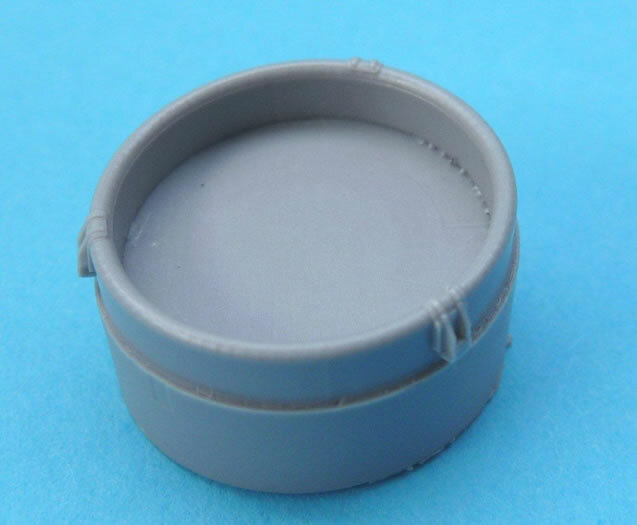 As I said the whole tub is replaced with resin and PE, this is one set that requires the canopy open to show off the detail within. 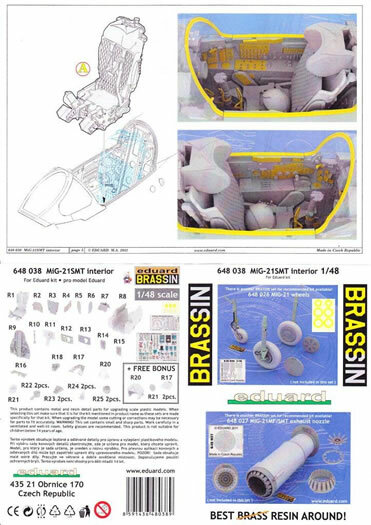 The final part of the construction is to detail the canopy, again all very nicely done, the only issue that I would like manufactures’ to address when they provide PE for the canopy is to provide masks that cover the canopy insides, most do a masking set that covers the exterior, but not the interior where you have attached most of the PE that requires undercoating and painting. 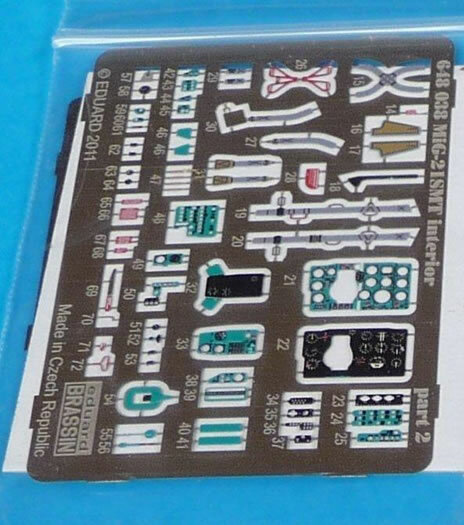 The masks in this Brassin set are for the HUD only. 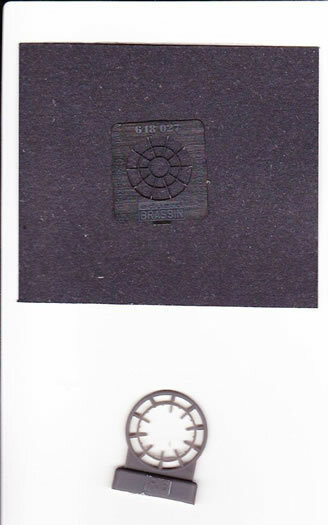 Bonus items again include a helmet and what looks to be a clip pad. 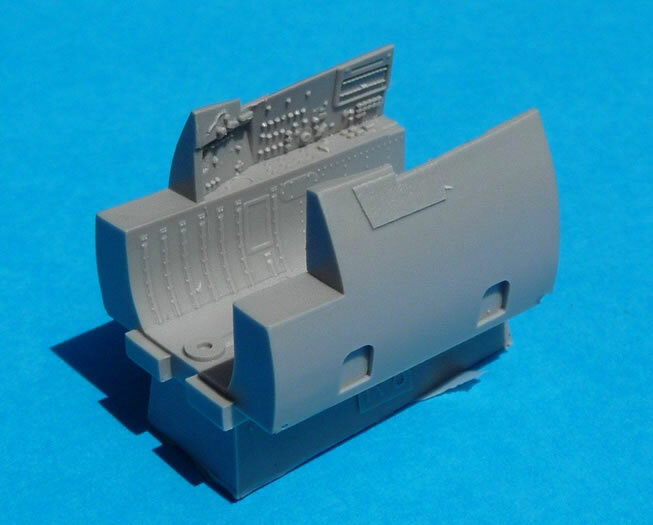 The detail is outstanding, and like a lot of aftermarket items once the fuselage is closed up, not a lot is visible however, you know it’s there. 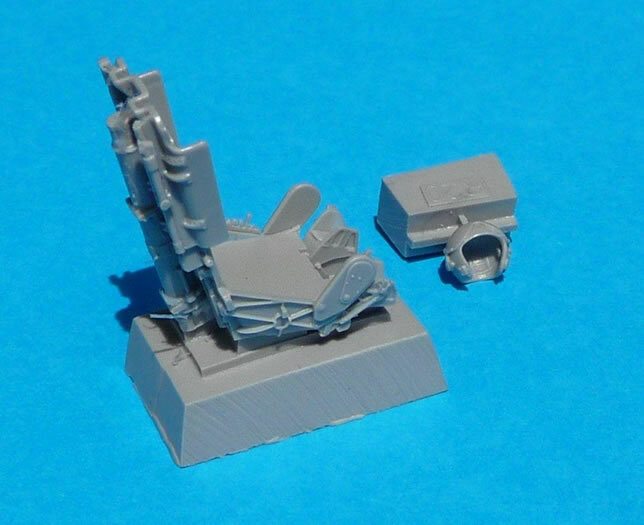 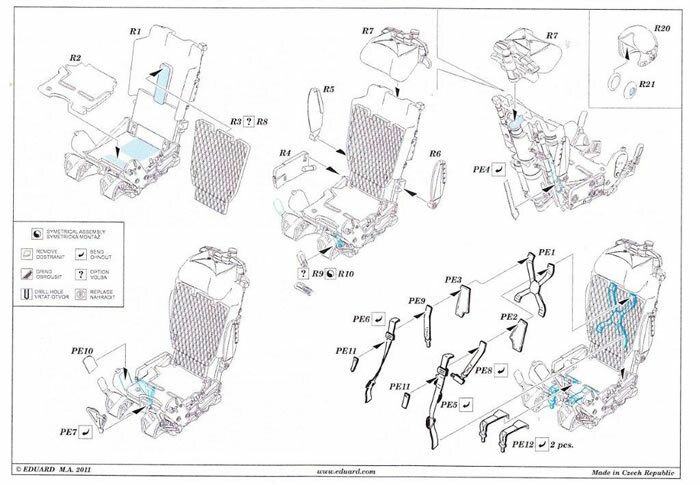 With all the attention to detail it’s a pity that there is not even a generic paining guide, Ejection seats do not change colour too much from original manufacturing. 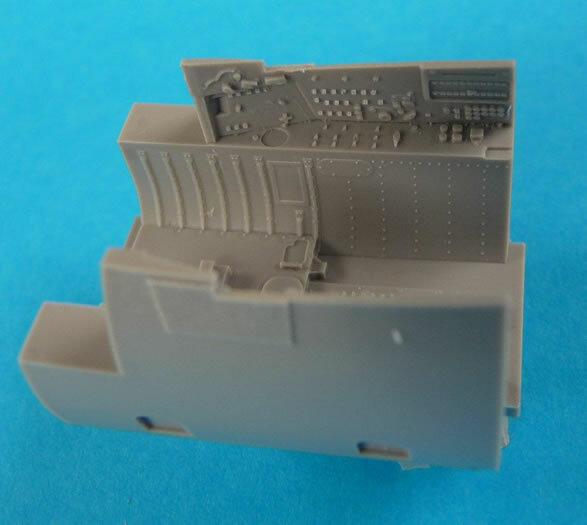 Yes cockpits vary but again a single option would be nice as it’s difficult to get images of all areas in the cockpit. 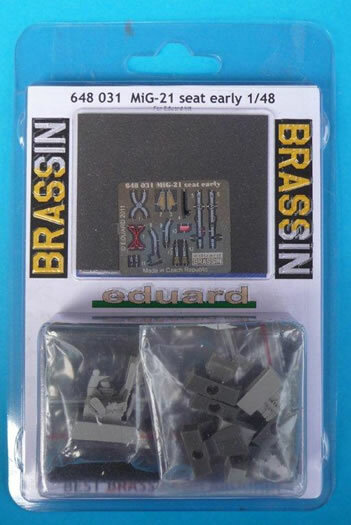 These Brassin sets will add an amazing level of detail to your MiG-21.